You can inspect any sub shader nodes by a single click on the icon. 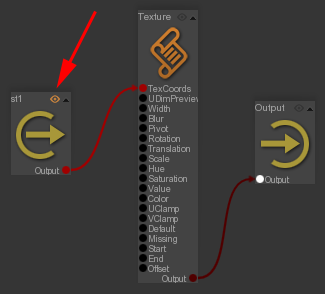 Once activated, the objects using this sub shader node have their shaders replaced by the value of the inspcected node. 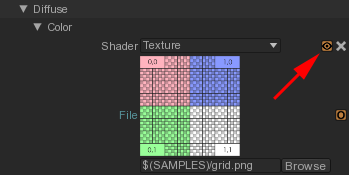 Select the RenderGraph Shader node where the texture has been overriden. Press the texture's inspection icon. 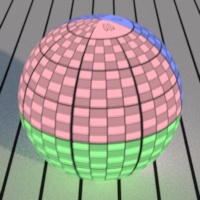 Render, the object is now rendered with the raw texture. 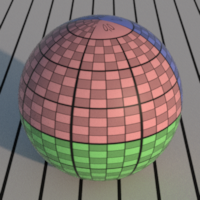 The object with its normal shader, the same object with the inspected texture node. Go to the sub shader. Press the node's inspection icon. Render, the object is now rendered with the Input node value. 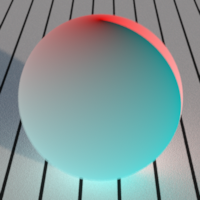 The object with its normal shader, the same object with the inspected shading node. To cancel the shading inspection, you can turn off the RenderView inspection icon . Only one shader node can be inspected at a time.